Once a Master of any Lodge has left that Office, he becomes a Past Master of the Lodge. His contribution to the health and well-being of the Lodge is not finished at that point, however, as he continues to work behind the scenes in the day-to-day work of managing the Lodge. Some (most) Past Masters will go on to fill such Offices as Secretary, Treasurer, etc; appointed to those positions by the new Master at the Installation meeting. 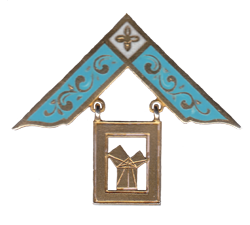 Masters of Athelstan Lodge are Installed in December and serve in that position for 12 months. The year shown against each name is that following their date of Installation. So, F Cohen, who was installed in December 1870, is considered – and shown as – serving as Master during the following year – 1871. Some individuals have a separate page of their own on this site or elsewhere on the WWW. To see the additional information, follow the links from their names below.